When we were still living in Korea, part of our plans was to take advantage of the travel package deals that MWR or Moral, Welfare and Recreation inside the Navy base was offering. 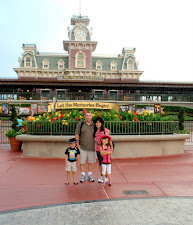 They would put together some places to visit at a very reasonable prices so that families can enjoy it. We were supposed to visit Vietnam one time but we cancelled the trip because my eldest brother died so suddenly due to motorcycle accident. One of the ladies that I met and became close friend while we were in the Land of the Morning Calm is this beautiful Vietnamese lady who was dating a a high ranking officer. We talked about our countries and she encouraged me to visit their country. That's what prompted us to book that travel deals but unfortunately, it did not materialized. I still want to visit the place though, I know that there are possible ways to do that, like getting a tourist visa. You can actually submit an application online or you can secure Vietnam visa on arrival. Or if you ever need an urgent Vietnam visa, you can use the online Vietnam visa service available at Vietnam visa information at www.tuanlinhtravel.com. They offer discount for travelers who are applying in group. Their application process takes 3 business days at a very affordable price. 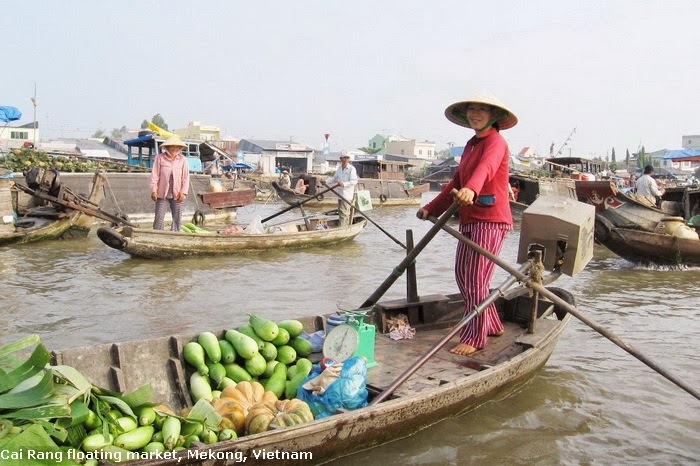 One of the many beautiful and interesting things that I want to experience and see in Vietnam is their famous floating market. You don't see that anywhere bu-t in their country. It would be exciting to experience that even just once in a lifetime. The Halong Bay is one of the many spectacular places to see in Vietnam. Oh, it would be so awesome to see these beauties! Isn't it obvious that Vietnam is one of the many places in my travel bucket list? oh nice, i've been wanting to visit the country too because of the lifestyle they have there that is way different from what i've used to know.... i hope someday you'll be able to travel there with your family. Looks like a beautiful place to see. Hopefully you will make your dream come true very soon. I have heard and seen photos of Vietnam and how beautiful this country is. Never been there before and sorry you guys didn't make it and sorry about our brother's passing. It is fascinating to see their floating market. Lovely ladies! Those boats and ships are interesting. You get the feeling that you revisited the past. So cool Vietnam! I would love to have an experience like that. Such a different way of life than I am accustomed to. Would be a great experience! 2nd photograph is in the Mekong Delta, this place is famous floating market at Cai Rang Can Tho city. Cai Rang floating market is so amazing. I can't believe they can trade on river. 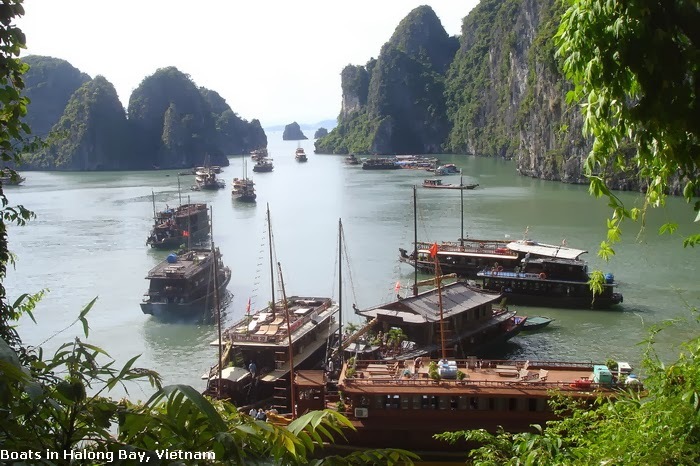 The Halong Bay is one of the many spectacular places to see in Vietnam.